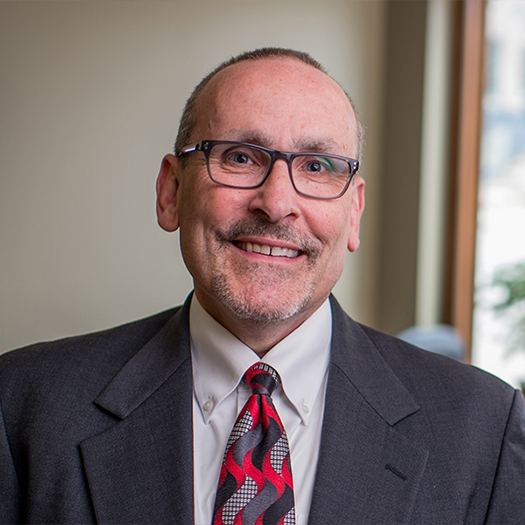 Known throughout the State for his practical and common sense advice, Mike McKnight has represented hundreds of employers, self-insurers, and insurers in workers’ compensation and employment matters. Throughout his nearly thirty years of practice, Mike has also defended insurers in claims of bad faith and provided counsel to employers in virtually every aspect of employment law. Most recently, Mike has developed an active and growing practice as a mediator of all types of disputes. His passion for helping people resolve their differences allows him to assist the parties in creating positive and cost effective solutions to their legal problems. Originally from Duluth, Minnesota, I graduated in 1981 from South Dakota State University with a degree in Wildlife & Fisheries Management and a minor in Chemistry. Following a short time at the University of Idaho working on a master’s degree in fisheries biology, I attended the University of South Dakota School of Law, graduating with honors in 1986. I have had the privilege of practicing with Boyce Law Firm since my graduation. During the course of my more than thirty year practice, I have represented hundreds of employers, insurers and self-insurers across the state of South Dakota. In the past ten years, I developed an active and growing practice as a mediator, and alternative dispute resolution has become the focus of my practice. In March 2016, I completed a thirty (30) hour civil mediation training with Mitchell Hamlin University. I am a member of the National Academy of Distinguished Neutrals and I am on the American Arbitration Association (AAA) Panel of Mediators and Panel of Arbitrators in the employment law section. Additionally, I am on the Resolute System panel of approved mediators, an organization that provides mediation, arbitration, ADR training, and consulting services to its clients throughout the United States. I am also a South Dakota member of NAM (National Arbitration and Mediation). Since 2015, I have been both the Chair and Co-Chair of the State Bar of South Dakota Alternative Dispute Resolution Committee. My mediation practice includes mediating all types of disputes, but have developed a particular interest and affinity in employment and workplace dispute resolution. My experience has allowed me to develop a mediation style that easily adapts to the needs of each particular case, allowing parties to resolve disputes that could otherwise prove to incur substantial legal fees. I have been married to my wonderful wife since 1981, and we have four grown children. Outside of the practice of law and mediation, I enjoy spending time with my granddaughter, and following my passion in conservation and environmental related issues. • Kid’s Chance of SD, Inc.
• South Dakota Bowhunters Inc. Presented at the South Dakota Workers’ Compensation Summit, June 2015, Sioux Falls, South Dakota. Presented at South Dakota Bar Nuts and Bolts CLE, Sioux Falls, South Dakota, April 2013. Presented at Sioux Falls, South Dakota, July 2000. Presented at Sioux Falls, South Dakota, 1995.